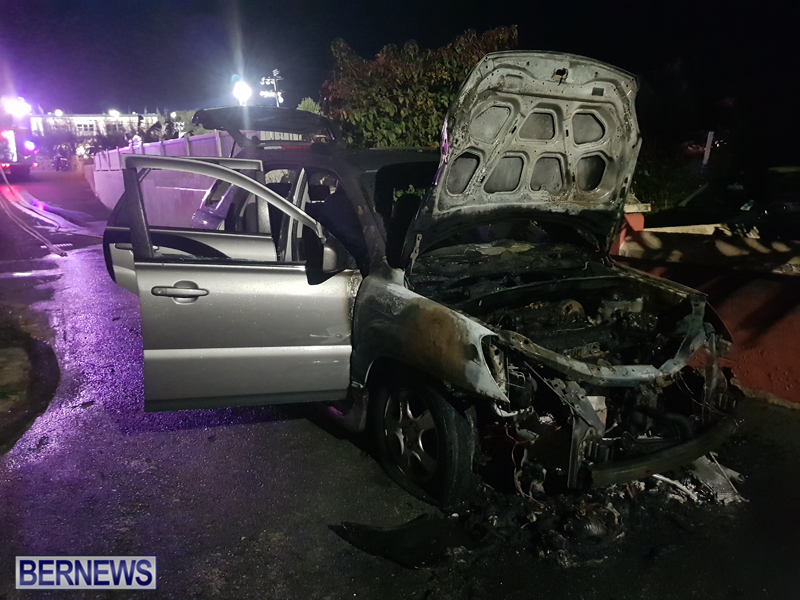 At approximately 6:16pm this evening [Nov 16], the Bermuda Fire and Rescue Service responded to a report of a vehicle fire on Rec View Hill in Devonshire. 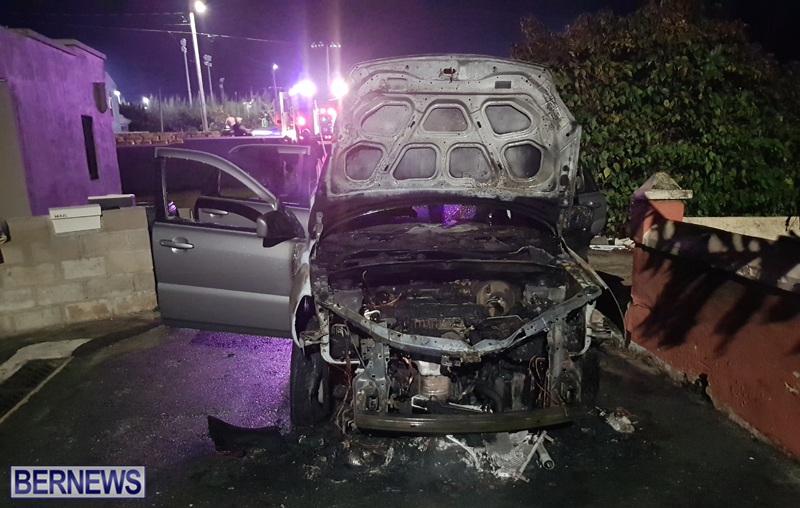 Fire Service spokesperson Sergeant Delton White said, “The vehicle was reported to have visible smoke and flames emitting from the engine compartment of the car. “The Fire Service responded to the incident with one vehicle staffed with 4 firefighters to find a SUV fully involved with fire in the engine compartment of the car as well as parts of the passenger compartment near the drivers side of the vehicle. “Firefighters dressed in full protective gear extinguished the fire amongst a number of explosions caused by the tires being heated and expanding. We seem to have had more vehicle fires than at any time in the past. What are the stats, BFS, BPS.